The Owners Corporation applied to the Department of Environment, Water, Heritage and the Arts under the Solar Homes and Communities Plan (SHCP) for a rebate to install a grid-interactive solar power system on our community hall. The application was successful and the department funded half the cost of the system. • Framing, circuitbreakers, wiring, labels etc. The system will generate about 1706 kW hours per year and generate RECs to an estimated value of $840. 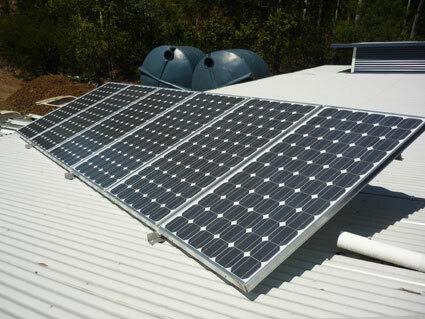 The total cost of the system installation was $13,442 and was performed by KS Solar of Kyogle. The majority of houses on this community are already solar powered, being without grid access. 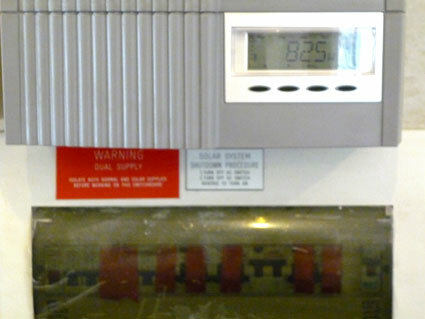 Now the Owners Corporation has installed a grid connected solar system at Billen Cliffs Community Hall so that we can not only meet our own needs but feed power back into the grid at times of surplus. In this way we can further promote renewable energies and model good citizenship to the wider community in relation to our own power consumption. The project was undertaken at Billen Cliffs Village, a rural Strata Plan of 115 units of 2 acres each, at the crossroads of the towns of Lismore, Kyogle and Murwillumbah in northern NSW. 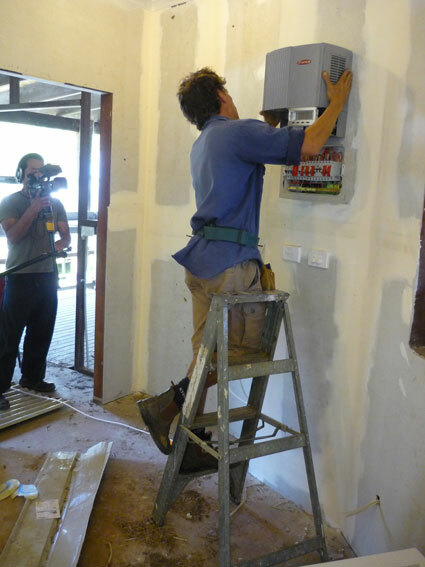 Our community hall is nearing completion and is currently connected to 240v mains power. As the Hall will be made available for use to the wider community, the Hall has now been accepted onto the Lismore City Council historical listing. We are the only Hall in 20 km radius and we believe the Hall will be well used by the local community. The balance of funding for the solar system has been raised by the Owners Corporation by AGM resolutions and levy contributions as part of our 50-year plan. The hall will soon have an interim Development Application approval allowing events to be held in the Hall. Our installers will provide ongoing technical support. The Executive Committee of the Owners Corporation will provide long-term administrative support, report-backs, and conduct ongoing promotions and publicity etc. A separate Hall management sub-committee will provide day-to-day hall management. The strata plan’s interest in solar power to date has been high with most dwellings already operating on stand-alone solar systems. There has been a high level of community interest and support for the installation of solar power at the Community Hall. On-site displays and community forums will provide educational facilities to the wider community regarding renewable energies and set an example for sustainability. The system will be used to take advantage of the north facing roof aspect of the hall to supplement/replace the Hall’s demand for electricity use. General operations will require use of power tools, lights, audio-visual equipment, refrigerators, computers, other office equipment etc. When not in use for community events, it will daily generate power back into the local electricity grid. Our strata plan is unique in the world, and was founded as a ‘Solar Village’ almost 30 years ago. Our online presence showcases our ideals for a sustainable community and self-sufficiency to the world. 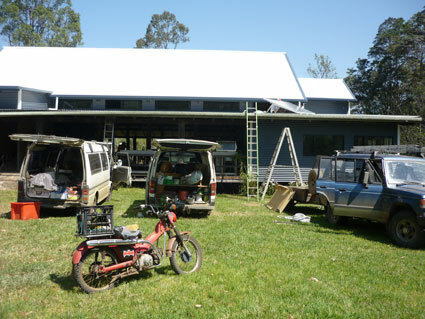 Our central location between the towns of Lismore, Kyogle and Nimbin makes us accessible to a wide rural audience interested in solar power generation. The Larnook Primary School is located only a few kilometres away and will be welcome to use our facilities for educational and/or fundraising purposes. The use of the hall will also be made available to the wider community for similar purposes. 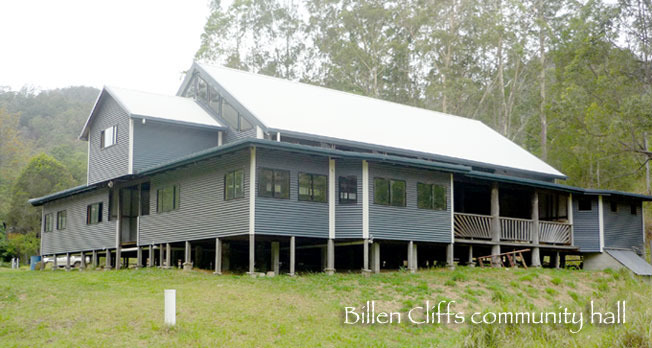 Billen Cliffs attracts many eco-tourists and visitors each year and many of these visitors will be able to use the Hall for education/information and to use computers and charge devices etc. 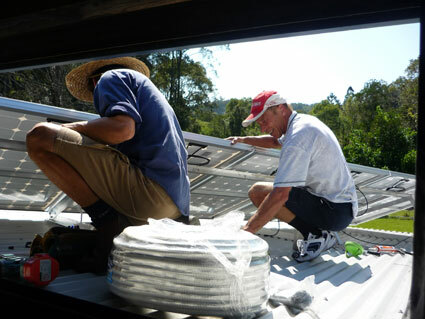 While most residences at Billen Cliffs Village already operate on independent solar systems, by installing a grid-feed PV system on the roof of the community hall, our community buildings will also be solar powered, and supply power back into the local power grid – potentially a lot more than we use. By being an entirely solar powered village we can demonstrate how a strata plan can benefit from PV systems and energy efficiency, while continuing towards our goal of a zero carbon footprint and being a globally recognised, ecologically sustainable village. The increased distribution of grid-feed solar systems will contribute to a lowering of consumption of coal-fired power generally and encourage a reduction in energy use.